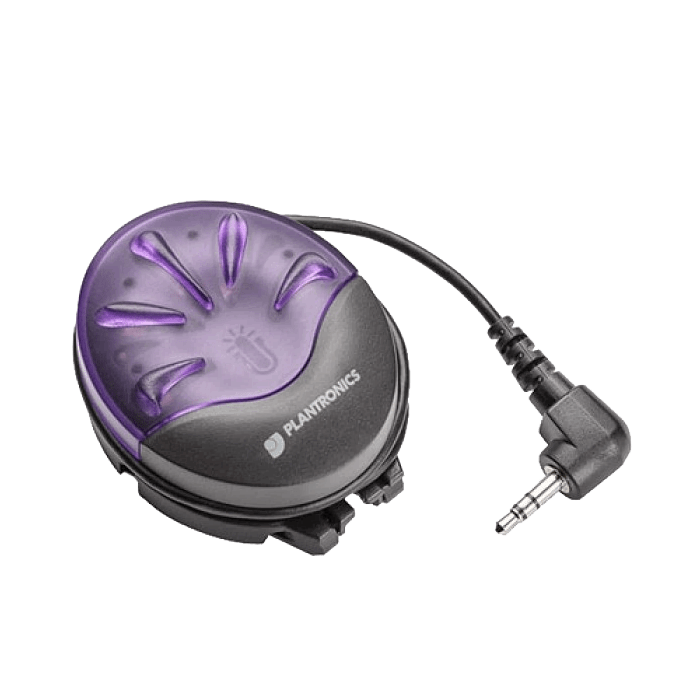 Plantronics Busy Light - 90 Degree Angle Plug - 65116-02 - Headsets Direct, Inc. This is the universal busy light that used a 90 degree plug. 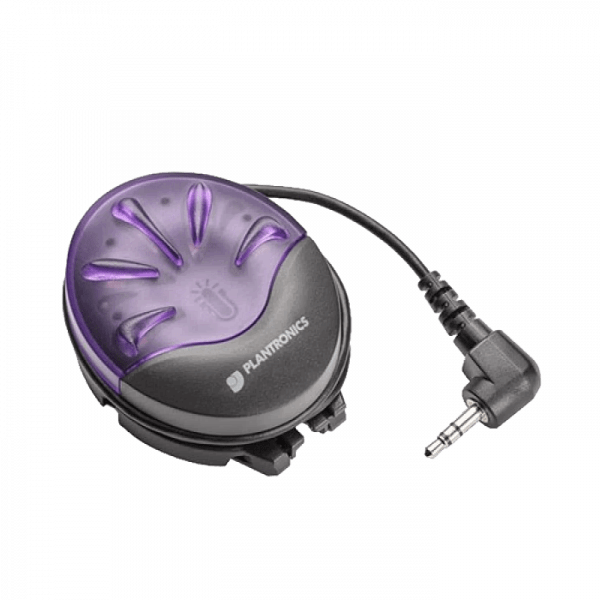 It’s compatible with old and new Plantronics wireless headset and lifters. This works just like it should. No more awkward moments on the phone. Prior to owning this, my boss was forever coming in while I was on the headset and began talking. He was continually annoyed because he didn’t know, and I was continually annoyed because I’d have to indicate I was on the phone. Worth every dime! I have been looking for one of these for sometime. I am constantly having to let my fellow workers know that I am on my wireless headset by holding up my hand and pointing at my headset to let them know I am on the phone. Good way to let others know you are on the phone. Works well. Tells folk in office you are on the phone. With the busy light, everyone knows when I am on the phone so they don’t just walk into my office and start talking to me. Easy to use, but would prefer being able to change from cute rotating light to steady glow. Also indicates if wireless headset is turned on even if not on a call. Our office unanimously voted to purchase this product for our front desk receptionist who manages multiple lines, always uses a headset and is our go-to person for a number of office needs and questions. It is difficult to know when they are on the phone with someone and as customer service is our #1 goal, we do not want to approach the desk with our questions and possibly interrupt a phone interaction with a customer. The Busy Light/ On-Line Indicator has solved this issue and we are very pleased with the product. It is now very easy to see when they are on the phone.